For many of us, the best travel experiences involve exploring a different culture, meeting new people, and having unique stories to tell about our personal encounters. We like to ‘get up close’. But we must recognise that in countries with strong community traditions, especially in rural areas, even ‘public’ places may be an intimate extension of people’s homes where social relationships are enacted. As travellers, we are temporary occupants of someone else’s social and family spaces – we can be intruders, or we can be guests. 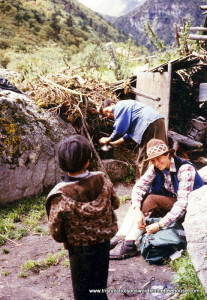 Never more so than in Bhutan’s rich, hospitable culture where local people enjoy sharing their way of life and often invite visitors to lunch or tea. The most intensely rewarding personal moments, the ones you will recall in years to come, are not an automatic part of your tour package: they are a personal responses to you, reflections of your sensitivity and willingness to learn and accept the customs of the place you have chosen to visit. Much of this sensitivity comes from displaying the ‘good manners’ we expect from guests in our own cultures. For example, when invited to someone’s house, we take a small gift of greeting and gratitude. We should do the same when we are away from home. 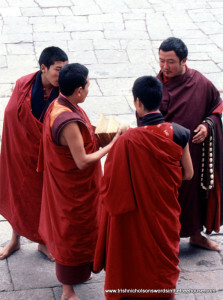 Gift exchange is particularly important in Bhutanese society – it is a Buddhist concept – Bhutanese never go ‘empty handed’. When I asked the editor of Bhutan’s beautiful magazine, The Raven, which local custom she wished visitors would adopt, it was this one. But it needn’t be restricted to personal invitations. When visiting a school, for example, a thoughtful gift of pencils or notebooks is greatly appreciated (and much better for children than candy). The same gesture applies to meeting other people – weavers, carvers, painters, monks – because it creates a relationship, a bond of mutual regard. If you are unsure what items would be appropriate, ask your guides: they will be happy to make suggestions. For special personal gifts, I packed knee socks for men – in the diamond patterns they seem to love – and colourful silk scarves for women, but I also took picture postcards and novelty key-rings characteristic of crafts in my own area. All easy to pack and carry. 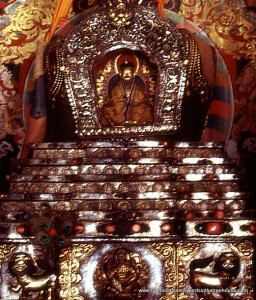 In Bhutanese culture, stones (even small ones) are special because they were once part of mountains which are sacred. Stones are inhabited by local spirits. If you pick one up to admire it, return it to where you found it – you do not want an angry deity in your luggage. And do not throw stones, sticks, or anything else into lakes: they, too, are the abodes of deities and are due consideration, like everything in the natural environment. When passing a sacred site like a chorten, a stupa or a mani wall, or visiting a lhakhang (temple), walk around it clockwise to show respect and to bring yourself blessings. If you visit a temple, remove your hat and shoes before entering, and be quiet and gentle in your behaviour inside: lhakhang are holy places because they contain ancient religious relics. Some relics are too hallowed to be seen by strangers: do not put pressure on people to let you see things that are not public, and if an object is covered, do not disturb it. 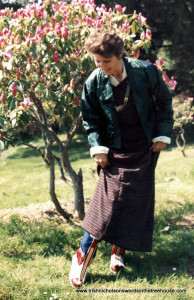 Dress modestly, especially in sacred sites which includes almost everywhere in Bhutan. For visiting monasteries, I wore a long, wrap-around skirt (in a dark tartan design that was greatly admired), and which is also extremely useful for alfresco living on treks. Bhutan is a photographer’s paradise. However many memory cards you plan to take for your camera, double the number, but ask permission before taking photographs inside monasteries and of people you meet on your way. And if you promise to send someone a copy, ensure that you do so. 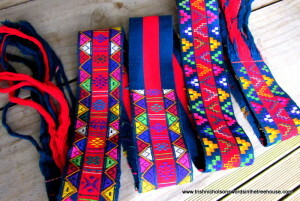 The country is rich in mementoes to bring home: weaving, carving, painted tangkhas (religious wall-hangings), jewellery, and musical instruments, for example. A little negotiation over price may be acceptable, especially discussions of the item and how and where it was made, you may even be offered sudja (‘butter tea’) in the back of the stall or shop, but this is not the occasion for hard haggling. 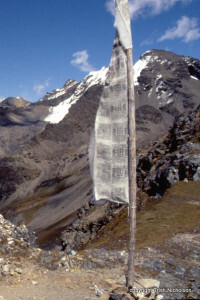 Delight everyone around you by learning a few Dzongkha phrases: kuzuzangpo la (hello, good day – ‘la’ is a term of respect, especially towards older people); kadinchey (thank you); tashi delek (your good health – as in a toast, but also well-wishing); and when you reach the top of a mountain pass, say ‘ha gyello’ (the gods are triumphant). 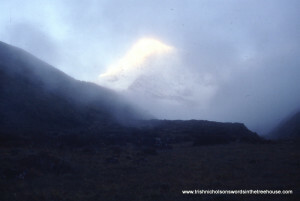 If you climb the 5,000 metres to Yale La, you will declare it in all sincerity with what little breath you have left. Create a Bhutanese atmosphere in your accommodation by burning poi (incense sticks), especially the sacred sup (juniper) – giver of life and health. I burnt sup each evening in my tent, or my hotel room, giving silent thanks for being there. 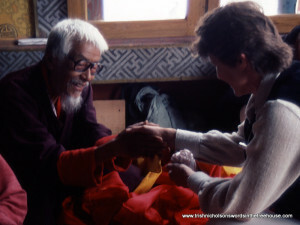 You might even try out Bhutanese dress, one of the women will be happy to show you how to fold the kira. But however well you do it, the kira will always look better on a Bhutanese. If you are ever in doubt as to what to do or how to respond in Bhutan, ask someone, they will be pleased that you care and happy to advise. 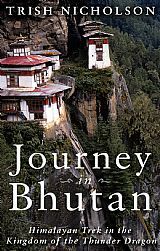 Journey in Bhutan: Himalayan Trek in the Kingdom of the Thunder Dragon, an illustrated e-book travelogue that takes you deep into the Himalaya on a 100-mile trek to Mount Jhomolhari and beyond to the Tibetan border.